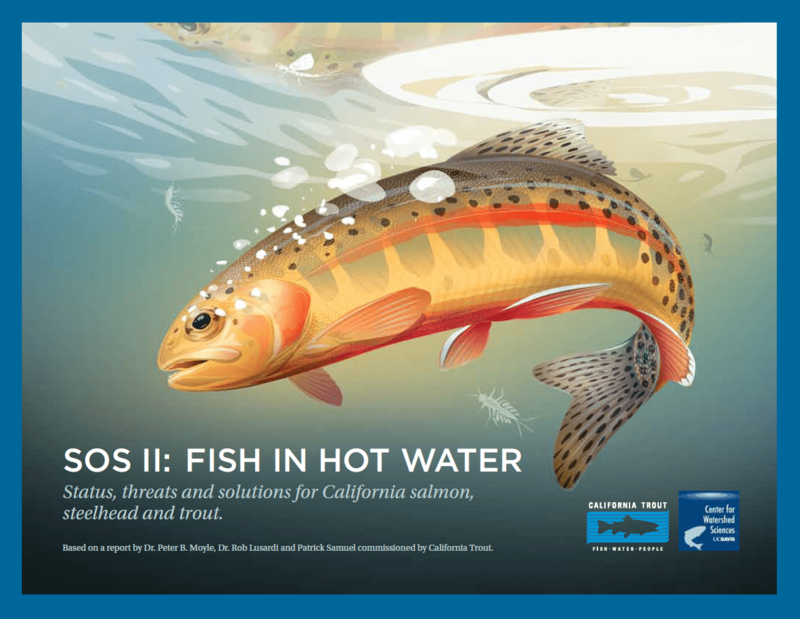 UC Davis Center for Watershed Sciences | California Trout, Inc.
CalTrout is established as a credible scientific leader on fish and water issues in California. 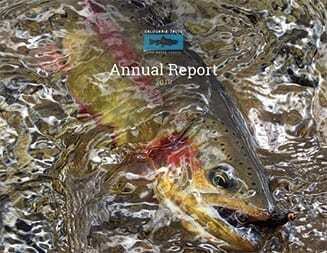 Through its Science program, CalTrout improves its scientific foundation of applied conservation strategies while developing responses to statewide-big picture threats to native trout and salmon such as climate change, ongoing drought conditions, introduced and invasive species, and hatchery reform. 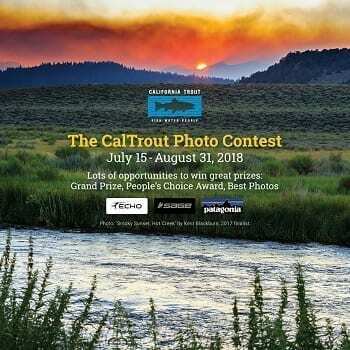 The program enables CalTrout to provide scientific research, data collection, and analyses to inform adaptive management strategies and viable conservation alternatives aimed at restoring native trout and steelhead throughout their historical range. 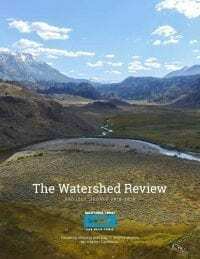 Two positions, created in 2014 between California Trout and the Center for Watershed Sciences, work toward these science goals: The Peter B. Moyle California Trout Endowed Chair in Coldwater Fishes and the CalTrout-UC Davis Wild and Coldwater Fish Researcher. 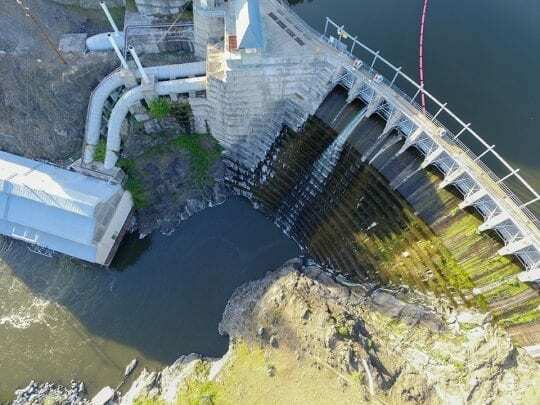 These positions were established to ensure that water resource issues with major policy and management implications continue to be informed by robust science. 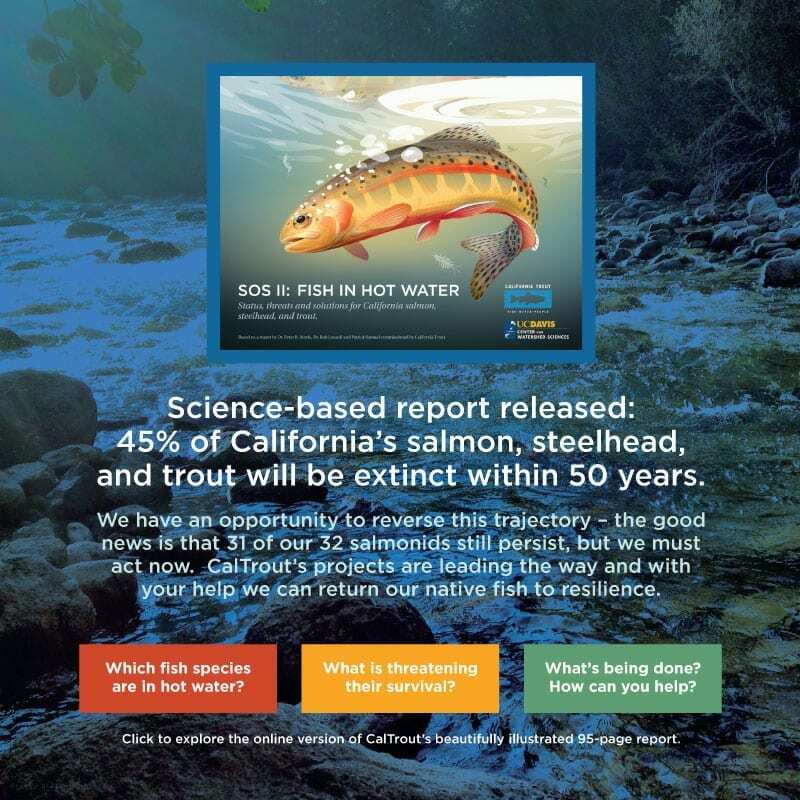 The findings from these collaborations have and will continue to inform broad-scale coldwater fish conservation strategies throughout California. 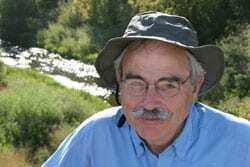 The Peter B. Moyle and California Trout Endowed Chair in Coldwater Fishes was established in honor of Dr. Moyle and the historical working relationship between CalTrout and UCD. 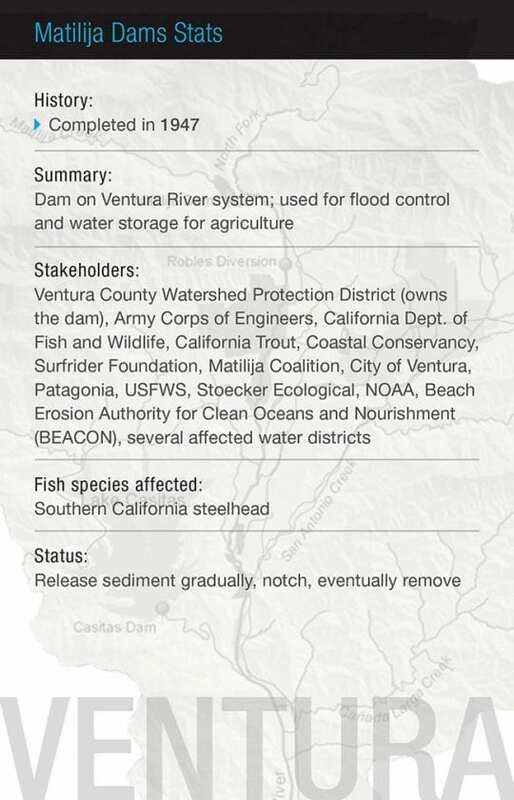 Dr. Moyle’s research, teachings, and outreach are tied to California’s coldwater aquatic ecosystems, especially salmon, trout, and steelhead. 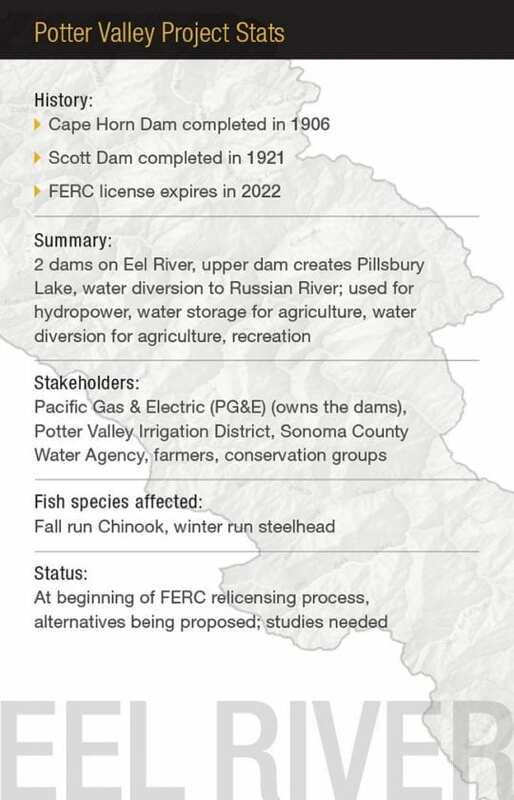 These elements ensure that Dr. Moyle’s essential work to recover California salmonids and other fishes will carry on for decades to come, greatly influencing CalTrout’s work. Andrew Rypel, appointed to the position in 2017, hails from Milwaukee Wisconsin where he grew up an avid angler of fishes of all kinds. 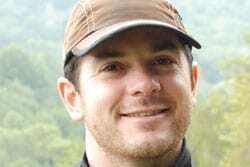 He has ecology and fisheries degrees from Saint Louis University, Auburn University, and the University of Alabama. 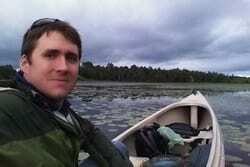 Since receiving his PhD, he has been conducting research on fishes and fisheries across the southeastern USA, the northern and southern Appalachians, Midwestern lakes, and even the Caribbean and China. His research is centered on understanding effects of global change on fisheries and aquatic ecosystems, nut importantly on developing novel conservation approaches to ameliorate these effects. Most recently, he was instrumental in leading a science-based adaptive management program for “panfish” fisheries throughout Wisconsin. Andrew is passionate about incorporating people, like CalTrout and other stakeholders, into the science and management process. 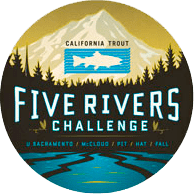 The CalTrout/UC Davis Wild and Coldwater Fish Research position establishes the basis for long-term science specific to CalTrout’s wild and coldwater fish initiatives. In addition, the position aims to bridge a widening gap between academic science and applied conservation policy, ensuring that rapidly developing science informs conservation projects throughout California. Dr. Robert Lusardi, appointed to the position in late 2014, works closely with Dr. Peter Moyle on numerous projects. 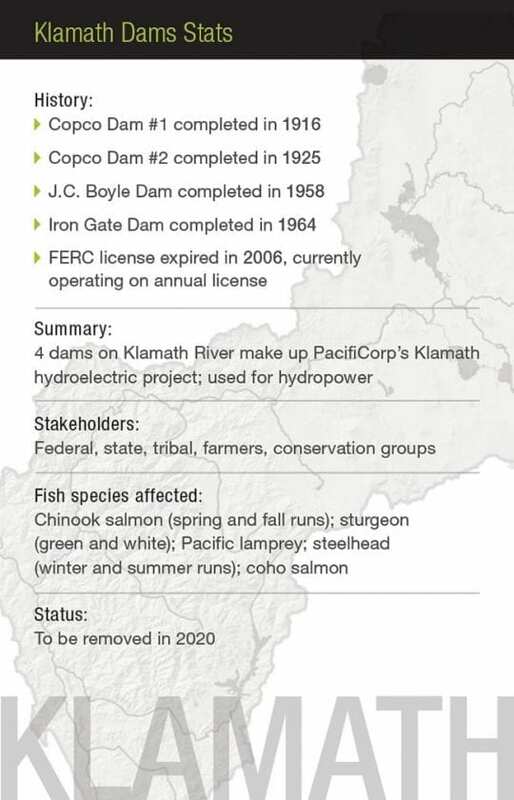 Most recently, these researchers, in collaboration with Patrick Samuel and Jacob Katz, are working on the second annual State of the Salmonids Report (SOS II). 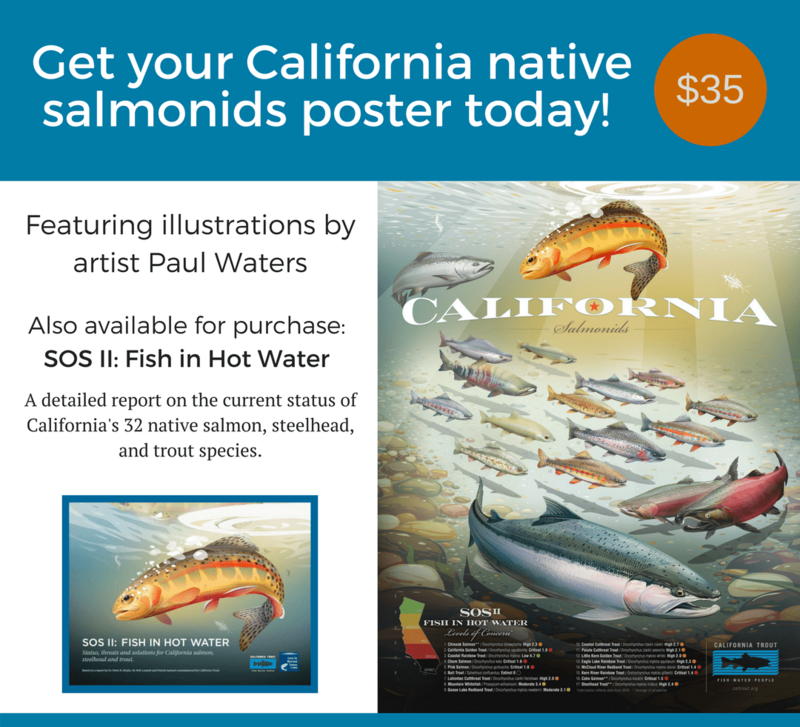 Initially released in 2008, this report details the current status of all 32 native salmonid taxa in California by reviewing the most recent scientific literature. Much of the recent literature is produced by state and federal agencies in the form of reviews or technical reports. Key to the development of SOS II is the work with regional, state, and federal resource managers. 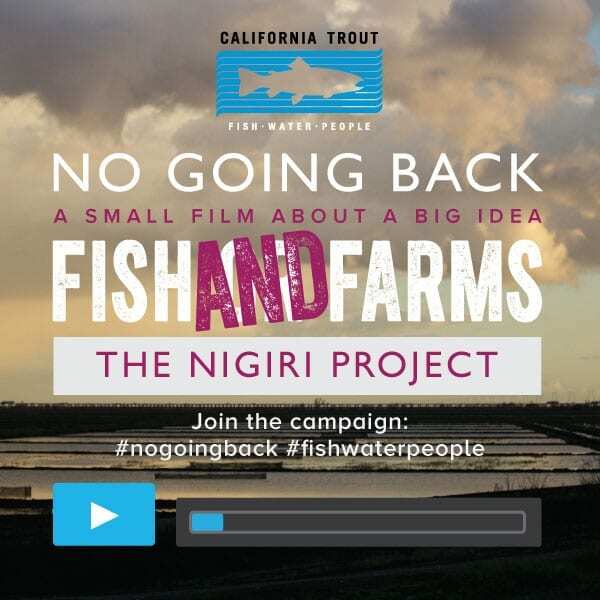 Dr. Lusardi is also working on several other projects to help inform California Trout conservation policy. 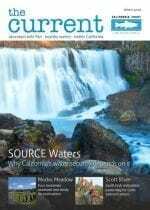 Recent research includes understanding the relative role of food and water temperature on the growth and survival of juvenile coho salmon on the Shasta River, the importance of volcanic spring-fed rivers with respect to their role as refugia for coldwater fish under a rapidly changing climate, inland trout conservation management and strategy, and determining when and if trap and haul programs are appropriate for anadromous fishes in California. 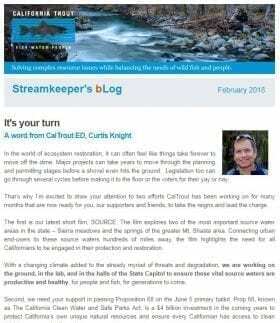 Dr. Lusardi also contributes a regular science column to The Current (‘What the Science Says’) where he chooses a recent scientific publication and summarizes the findings and importance of those findings to native salmonid conservation in California.